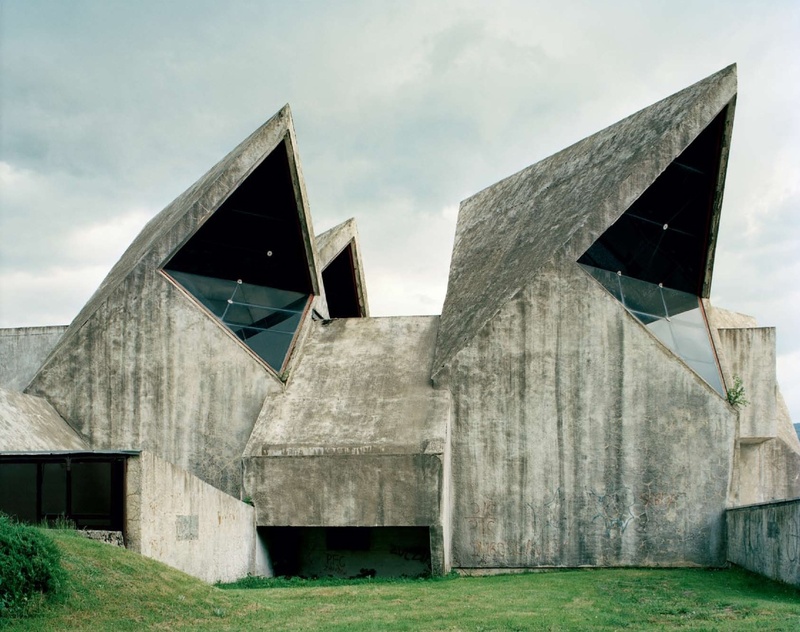 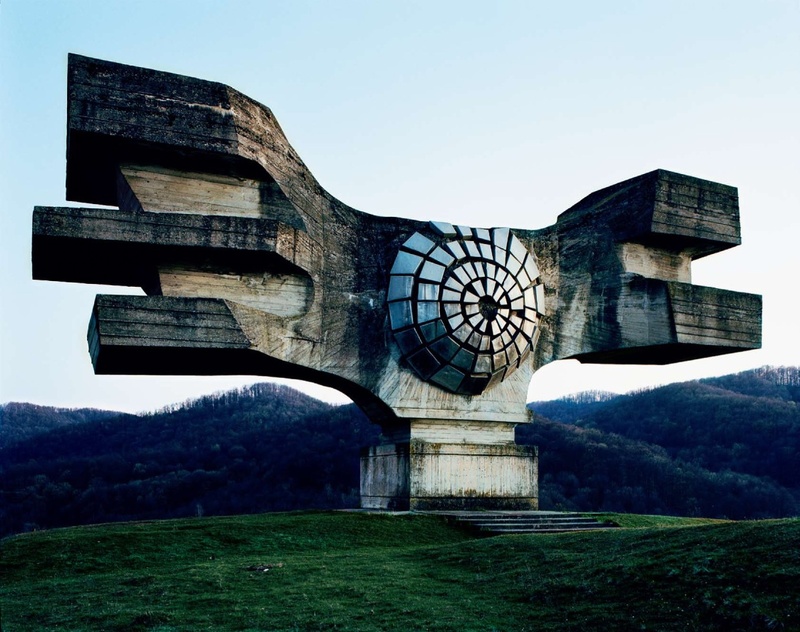 Futuristic-looking, yet dilapidated Spomeniks―Serbo-Croatian for monuments dot the hills and valleys of the former Yugoslavia like abandoned spaceships, monuments to a forgotten socialist future. 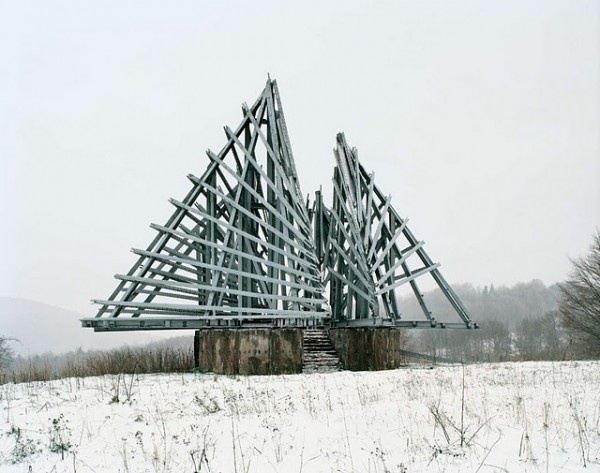 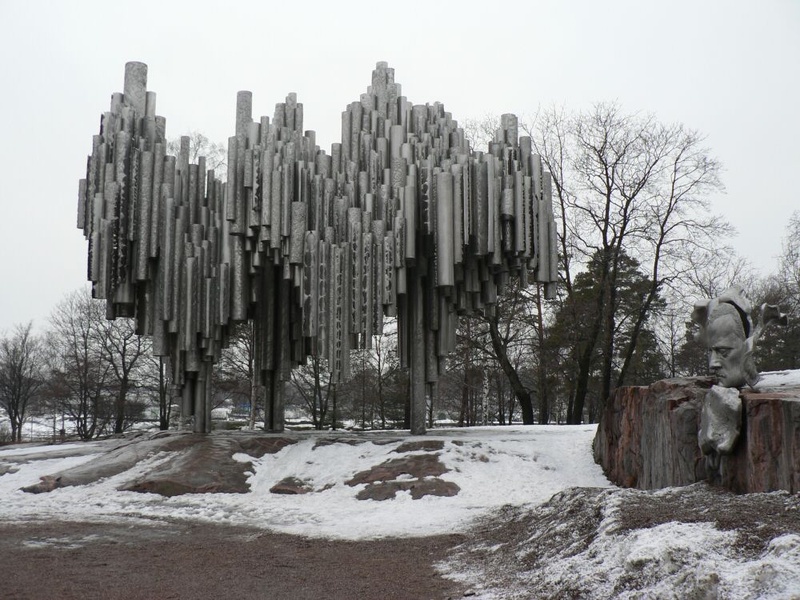 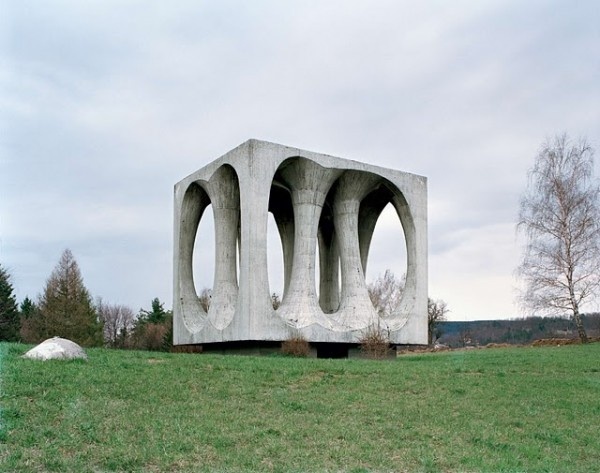 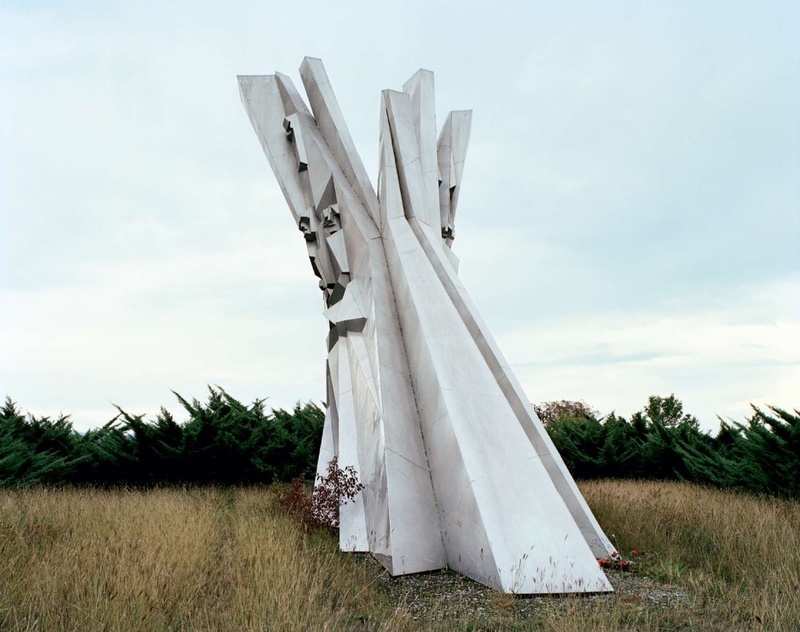 From 2006–09, Antwerp-based artist Jan Kempenaers travelled through the region photographing these striking monuments. 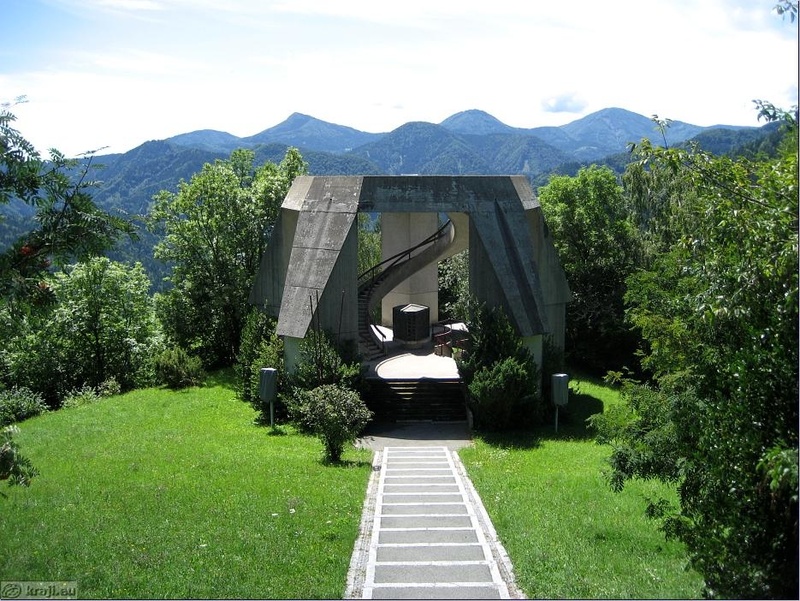 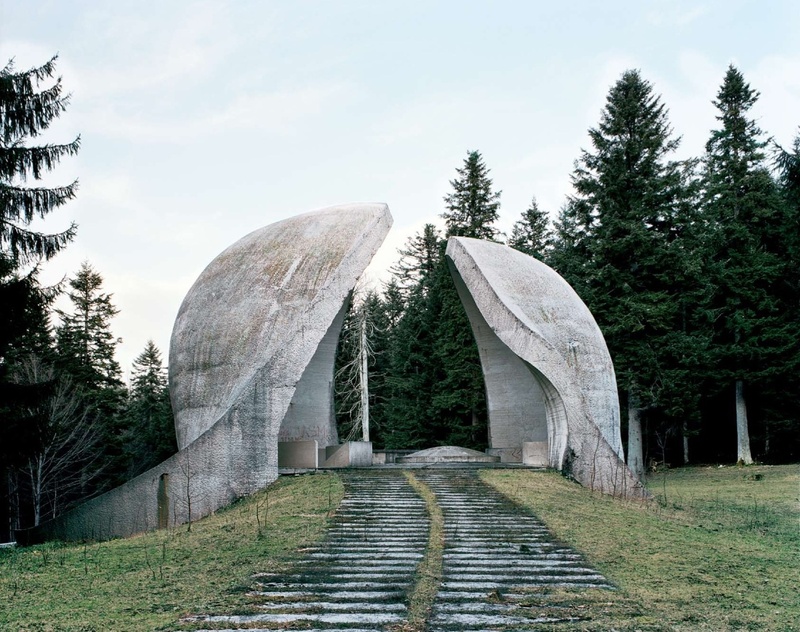 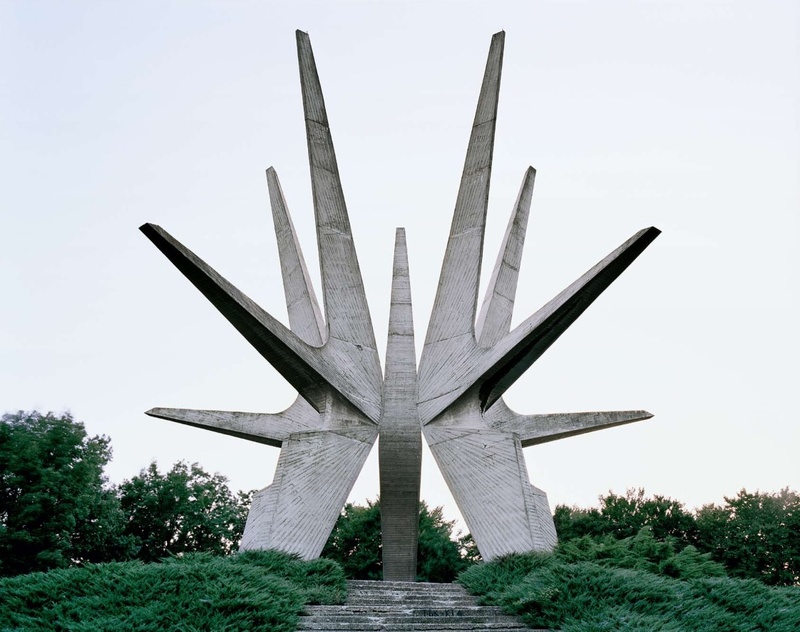 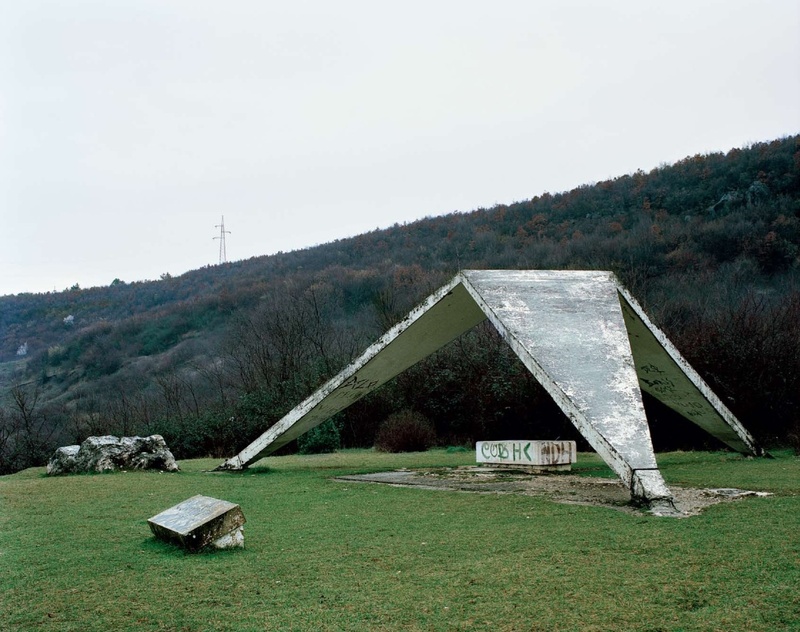 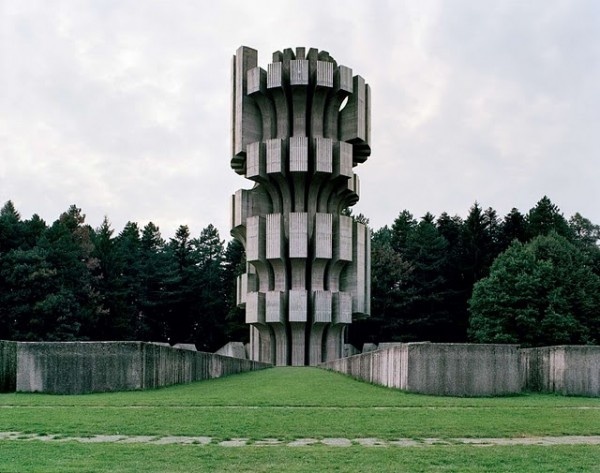 Erected by Josip Broz Tito in the 1960s and 1970s to commemorate World War II, the spomeniks were once the sites of state-orchestrated pilgrimages for adults and schoolchildren and a focus of efforts to construct a cohesive identity for a radically heterogeneous nation. 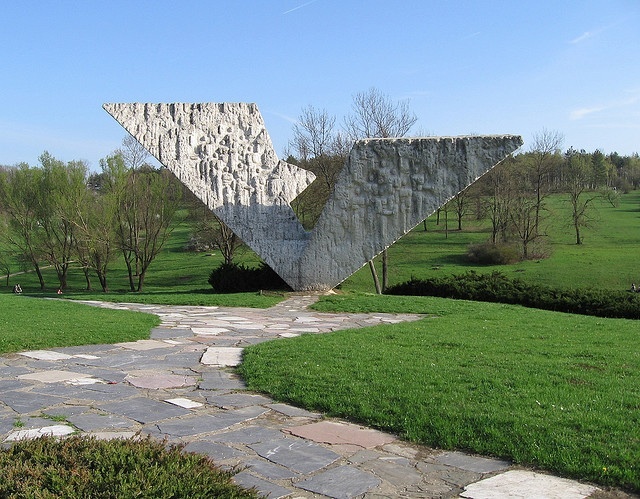 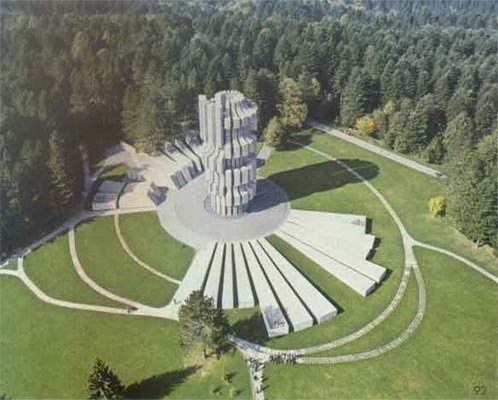 After the breakup of the former Yugoslavia in the early 1990s, many of the monuments were destroyed. 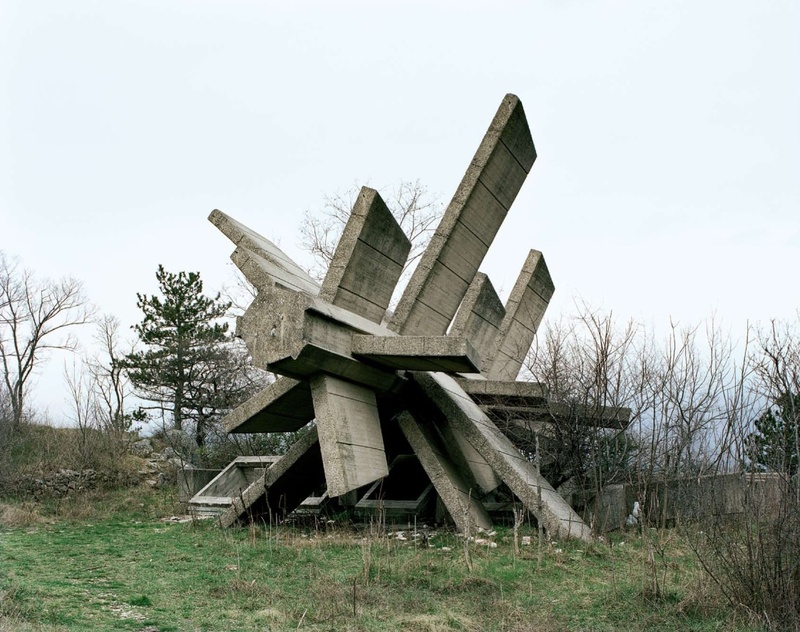 Today, those that remain have fallen into disrepair and lie deserted and disused, subject to the indifference of a new generation. 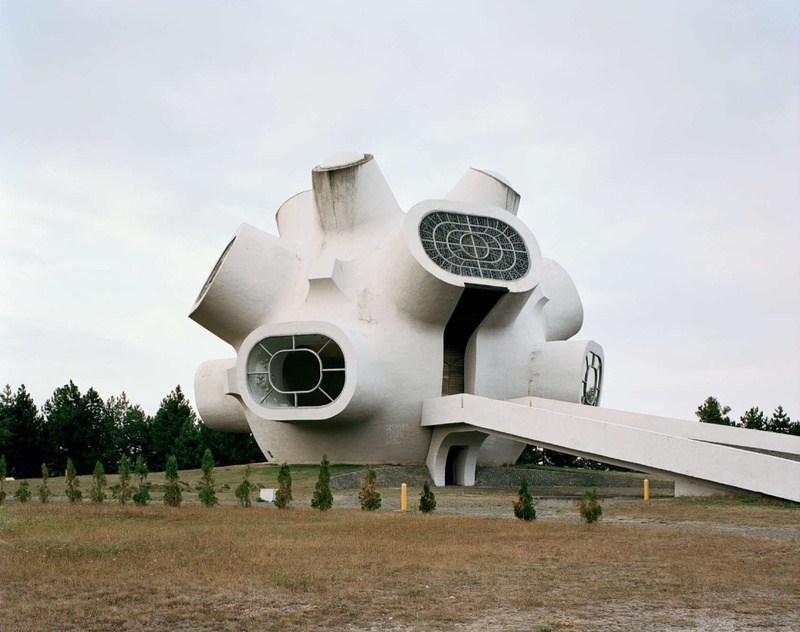 Kempenaers’s photographs, which focus on the monuments as fantastical and mysterious ruins, are on display concurrently with Resplendent Dress from Southeastern Europe to offer a provocative counterpoint to the region’s traditional festive dress. 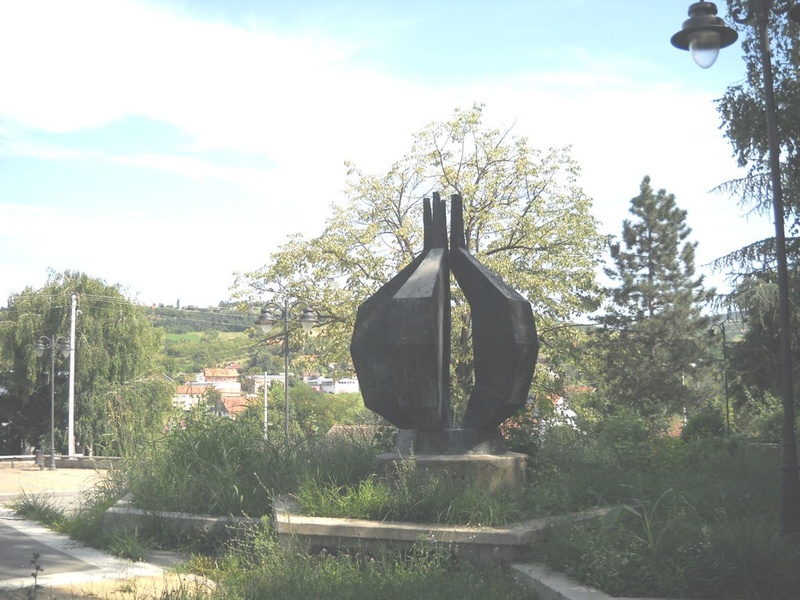 Kempenaers has been affiliated with the School of Arts Ghent in Belgium since 2006. 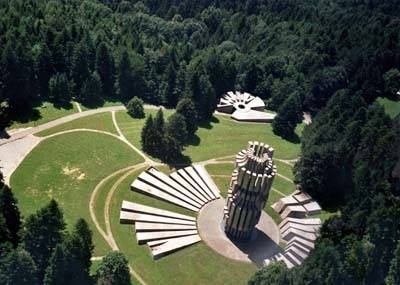 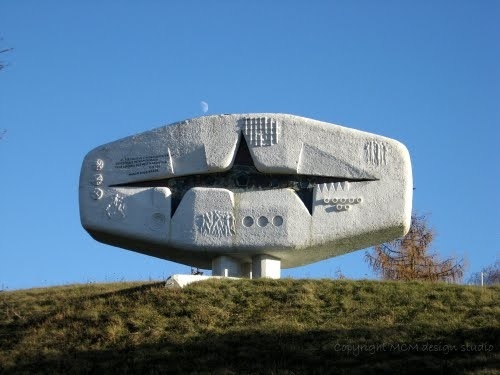 Spomenik is part of his artistic research.